I have a weird relationship with chickpeas. I absolutely adore them 95% of the time (see: 31 vegetarian chickpea recipes), but just occasionally I find their texture a bit weird – usually when they’ve been mashed or blended. In other words, I find falafel pretty tricky sometimes, and I don’t really like hummus. Yeah, I know. Hummus is like liquid (um, viscous liquid?) gold to a lot of people. Sorry about that. The texture just really doesn’t do it for me. Since I feel I really should like these foods (come on, what vegetarian doesn’t like hummus or falafel?! 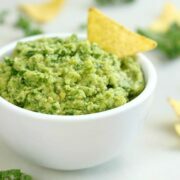 ), I like experimenting to make them more enjoyable to me – I loved my quick falafel, for example, and I love hummus made with other beans instead of chickpeas (especially with added lemon juice and feta – yum). This time, I played around with the standard hummus recipe so much that it barely even resembles hummus any more – and it’s completely and utterly delicious. There’s no tahini, but there is a good handful of kale, and a decent amount of parmesan cheese (the veggie version, of course). I know, how predictable am I: to make hummus more exciting to me, I added some cheese. But believe me, it made this kale hummus so, so tasty. I think kale and cheese might just be my new favourite combination. Parmesan has a pretty strong flavour, so this hummus really packs a punch, especially along with the garlic and lemon juice. Smeared on a few tortilla chips, this made for a seriously enjoyable (if wholly inauthentic) lunch. I left my parmesan hummus quite thick and chunky, but if you prefer a thinner hummus you could always add back in the tahini that I skipped. 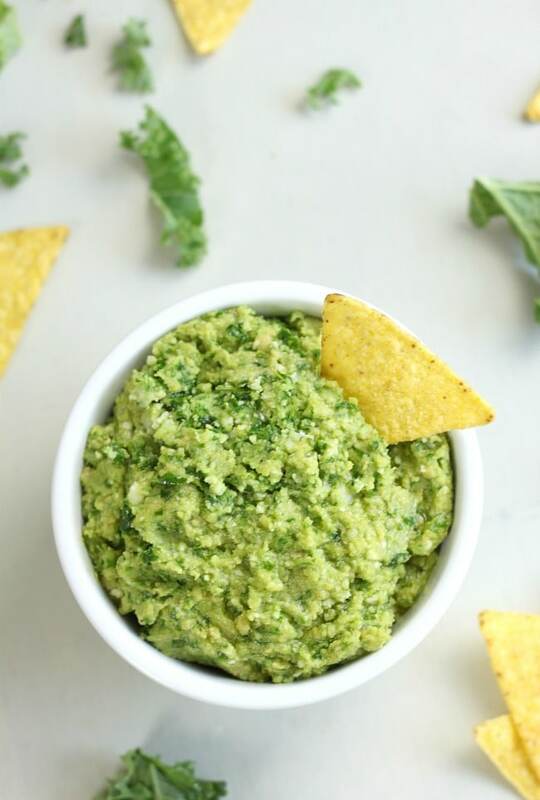 When it’s thick, it’s great for scooping onto tortilla chips, but if you’re more of a dipper or a spreader, it would be easier if you make it a little thinner. 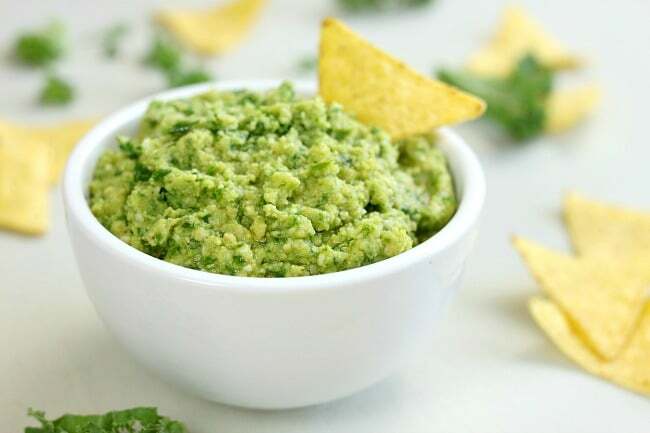 Place all the ingredients in a blender or food processor, and blitz until the mixture reaches your desired consistency (I left mine slightly chunky). You might want to hold back some of the extra virgin olive oil to add at the end, until the mixture is as thin as you would like it. 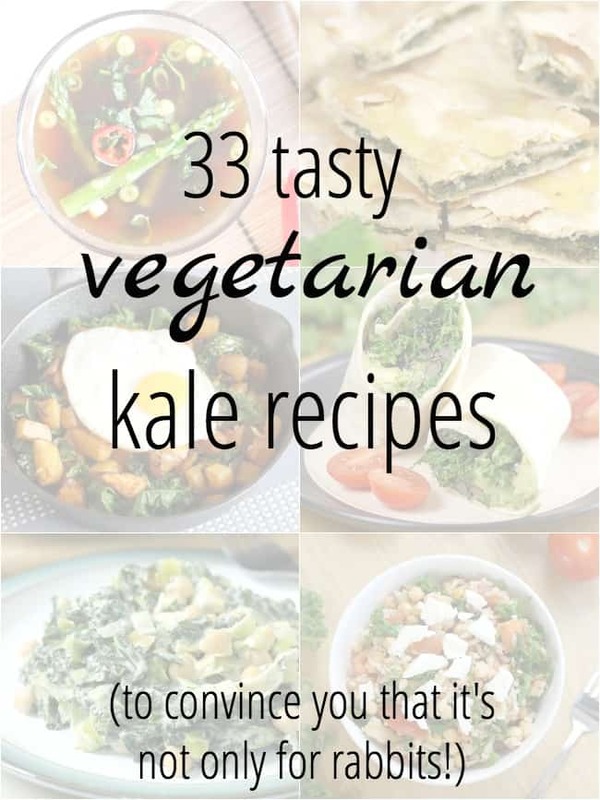 Got leftover kale? Here’s some more kale inspiration. Yum, looks delicious and really perfect for a tasty vegetarian lunch. I always top my kale with grated parmesan – it truly is one of the best flavour combinations out there! I also love chickpeas and I love hummus in all its permutations – and I’, sure I’ll love this one too! 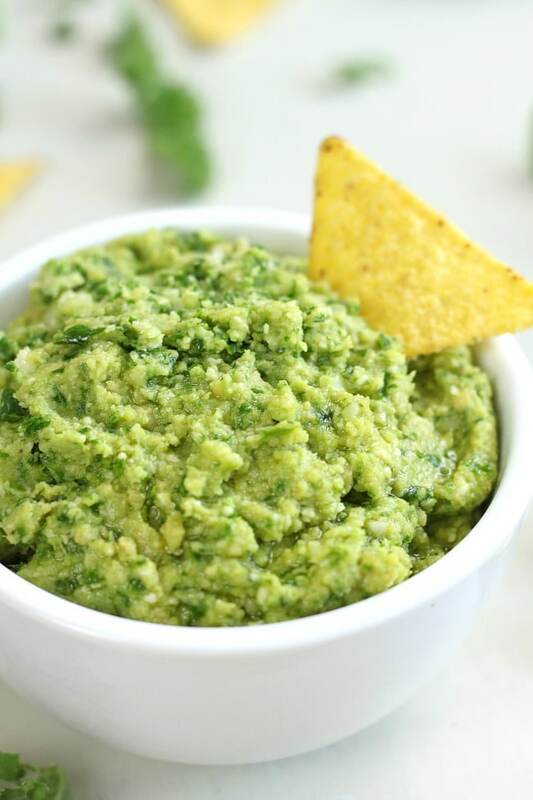 Love your idea – this is one delicious looking dip! In my experience, the more tahini in a houmous, the smoother it’s likely to be; if you’re buying ready made, the Yarden and Sabra ones tend to be pretty silky. 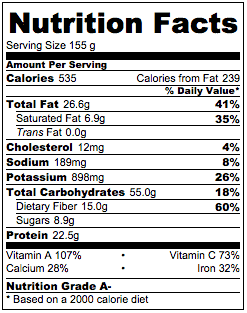 What an interesting and healthy combination for a hummus dip! This is not on my list to do Thank you! This is a clever and delicious looking recipe, I adore hummus!! Kale + Parm = perfect! Pinning…. Oh my gosh…this looks amazing and it’s perfect for summer! Love the idea of reinvented hummus, as I adore chickpeas too, but I’m not a fan of tahini. I made this today and it was delicious. I added fresh coriander, and a little chilli for some kick. Gorgeous with jackets and vegie crudite. Thanks! Whatever you want to call this, it looks delicious, Becca. 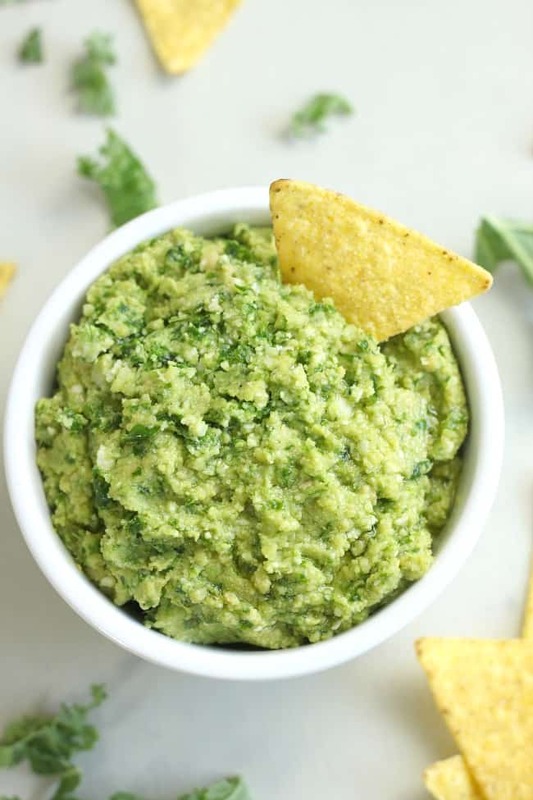 Jac did a hummus recently with kale and hemp, so I guess you are both on the same pimp-your-hummus vibe. The world has room for as many hummus reiterations as you can come up with. The more the merrier. :-) Love it. This really sounds interesting and amazing. 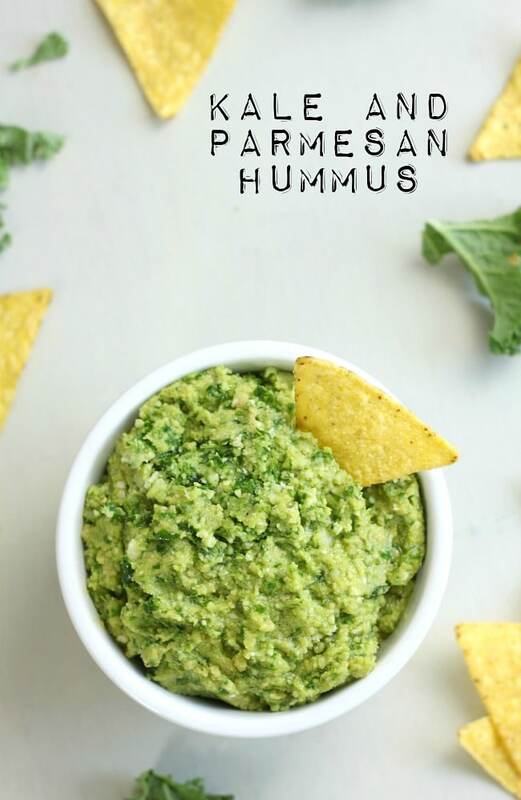 Who would have thought that the humble hummus can become exotic with parmesan and kale.. that is something I have never heard before.. I totally agree on the texture of hummus but loving the idea of this. I also love chickpeas – why is it that they go so weird when they are blitzed or mashed. Ergh! Yey for Parmesan and Kale.